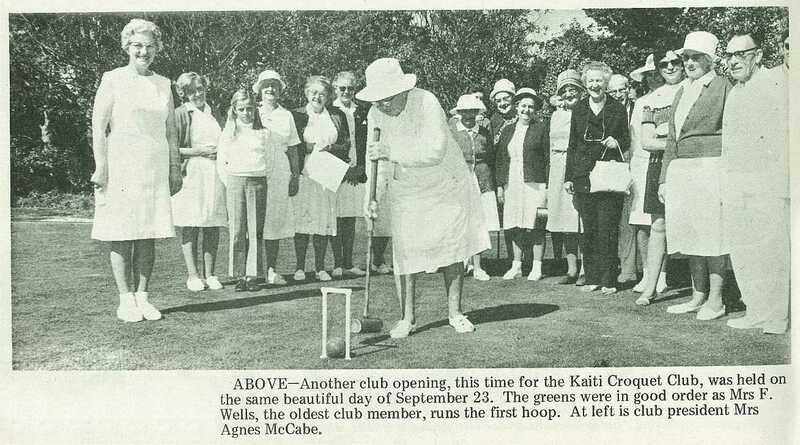 Another club opening, this time for the Kaiti Croquet Club, was held on the same beautiful day of September 23. 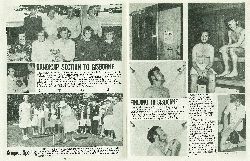 The greens were in good order as Mrs F. Wells, the oldest club member, runs the first hoop. At left is club president Mrs Agnes McCabe.